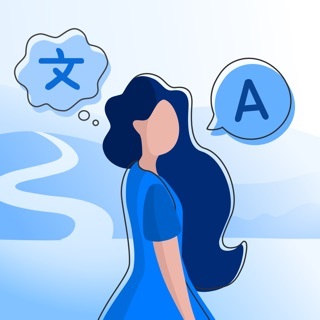 Whether you're traveling to new places or trying to get started learning a new language, thanks to “Translate now”, the language is no longer a barrier to communication. Speak to translate. Dictate what you want to translate and let the app read out the translation, or read it on your screen. Translate Now enables you to speak a new language with confidence. Translate any pic or text using your camera. Snap a shot of any printed source and Translate Now translates it instantaneously. You can easily translate menus, signs, maps, or any paper document. Easily write in 60+ languages within your favorite apps. Have foreign language conversations. Now you can communicate effectively with people from all over the world. Translate Now translates conversations between a foreigner and yourself in real-time. Translate text into 110+ languages. Enter the phrase you want to translate to receive the results in text format or listen to the correct pronunciation. Translate now using your Apple Watch. Add shortcuts to Siri to get your translations even faster. Using the widget you can translate from your clipboard faster than ever, and a text without even opening the app. **Internet connection is required to translate. Note: The Free version may be subject to limitations (ex. number of daily translations). Subscription automatically renews unless auto-renew is turned off at least 24-hours before the end of the current period. Account will be charged for renewal within 24-hours prior to the end of the current period. Subscriptions may be managed by you and auto-renewal may be turned off by going to iTunes Account Settings. For more information please visit the link https://support.apple.com/en-us/HT202039. No cancellation of the current subscription is allowed during the active subscription period. Any unused portion of a free trial period will be forfeited when a user decides to subscribe. At 86 yrs of age, I no longer buy green bananas, nor subscribe to anything that will be difficult to terminate post mortum. On the occasions when used, ” Translator “ has been entirely satisfactory, but please save my survivors the trouble to cancel in their time of profound grief. I could find no option but to contact you via “review “.